AMSOIL synthetic diesel oils are well-suited for the extreme operating conditions of turbodiesel engines. While gasoline engines still cover the majority of the North American passenger-vehicle market, turbodiesel-powered vehicles have grabbed the spotlight and gained a strong foothold in recent years. Owners appreciate the modern technology advancements that effectively combine traditional diesel power and torque benefits with fuel efficiency, quietness and reduced-emission benefits that have surpassed their gasoline-powered counterparts. Popular in Europe for years, passenger vehicles equipped with turbodiesel engines began really taking off in the U.S. and Canada with the introduction of ultra low sulfur diesel (ULSD) fuel in 2006, allowing manufacturers such as Volkswagen*, BMW*, Audi* and Mercedes-Benz* to export turbodiesel vehicles to the North American market without developing special emissions systems to deal with the higher sulfur content previously common in North American diesel fuel. With the popularity of these European turbodiesel vehicles increasing, an increased number of U.S. manufacturers have introduced turbodiesel vehicles in recent years, including the Chevrolet* Cruze* Clean Turbo Diesel, Jeep* Grand Cherokee* 3.0L EcoDiesel* V6 and Ford* Transit* 3.2L I-5 Power Stroke*. And while full-size, gasoline-fueled V8 engines have traditionally ruled the pickup truck market, manufacturers are introducing a variety of new full- and mid-size trucks with turbodiesel engine options. The Ram* 1500 EcoDiesel was introduced in 2014, and new options for the 2016 model year include the Chevrolet Colorado* and GMC* Canyon* with a 2.8L Duramax* turbodiesel engine and the Nissan* Titan* with a Cummins* 5.0L V8 turbodiesel engine. Much of this increased turbodiesel popularity can be attributed to turbodiesels’ ability to achieve maximum fuel economy while still putting a substantial amount of power and torque to the ground. No longer are North American customers forced to buy three-quarter ton or larger pickups to gain the advantages of a diesel engine. They now have a vast selection of smaller, diesel-powered vehicles to choose from. Considering the success and popularity of the new generation of turbodiesel-powered vehicles on the road today, manufacturers will continue to push this technology into more vehicles in the future. Turbochargers can spin over 100,000 rpm, creating intense heat and shearing forces that can cause lower-quality lubricants to lose viscosity and their ability to reduce friction, wear and heat, putting critical engine components at risk. Not only that, but turbodiesel vehicles suffer a certain level of fuel dilution, exacerbating viscosity loss and creating an environment more susceptible to engine wear. Lubricants that provide maximum protection and performance under extreme heat and loads are essential to maximizing equipment life and minimizing downtime. 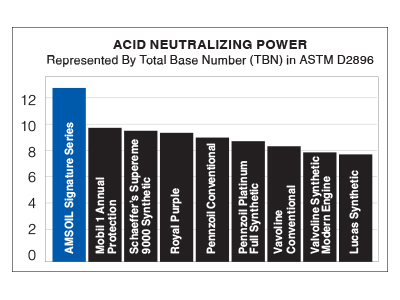 And because one of the primary benefits drawing customers to turbodiesels is fuel economy, it is important lubricants also do their part to maximize fuel economy benefits. AMSOIL synthetic diesel oils feature an exclusive blend of premium, shear-stable synthetic base oils and high-performance additives that protect equipment through superior viscosity retention. They provide the ultimate in protection against high heat that causes viscosity thickening from oxidation, while combating the shear effects the turbocharger and engine place on the oil. In addition, AMSOIL synthetic diesel oils provide outstanding protection against viscosity thinning due to fuel dilution, providing best-in-class engine protection no matter how you use your vehicle. AMSOIL synthetic diesel oils maintain engine efficiency by reducing friction and helping keep the inside of the engine clean and deposit-free, while also ensuring it maintains peak fuel efficiency. 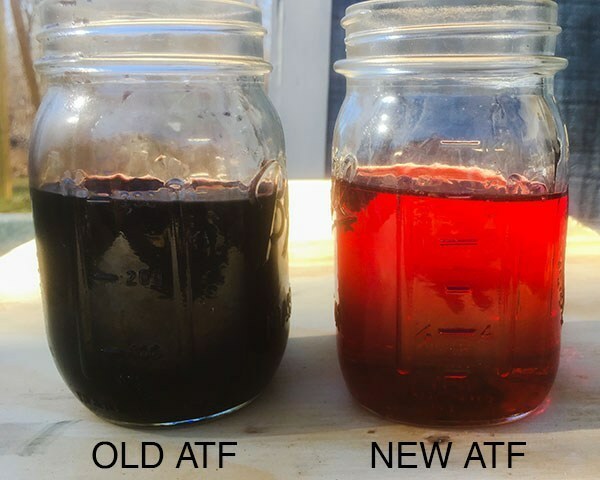 The Environmental Protection Agency’s (EPA) Federal Test Procedure (FTP) confirms that, when compared to conventional 15W-40 diesel oil, AMSOIL Premium 5W-40 Synthetic Diesel Oil improves fuel economy throughout virtually all driving scenarios. Drivers save on fuel costs and enjoy the benefits of increased engine protection.